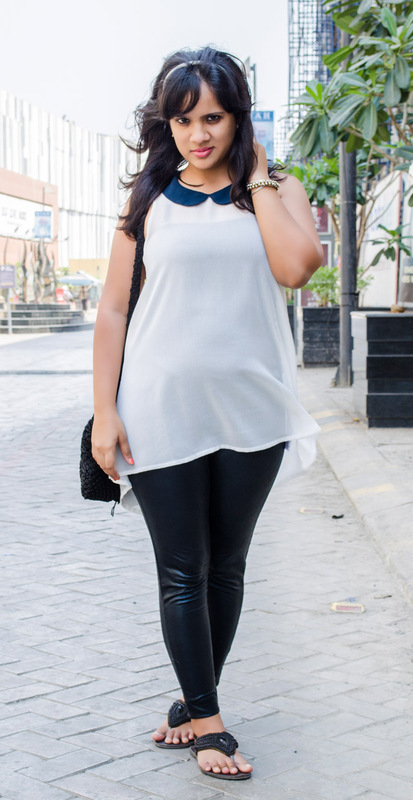 When you have ruby red lips going on, you are assured that they add a certain elegance and sophistication to an outfit like here. 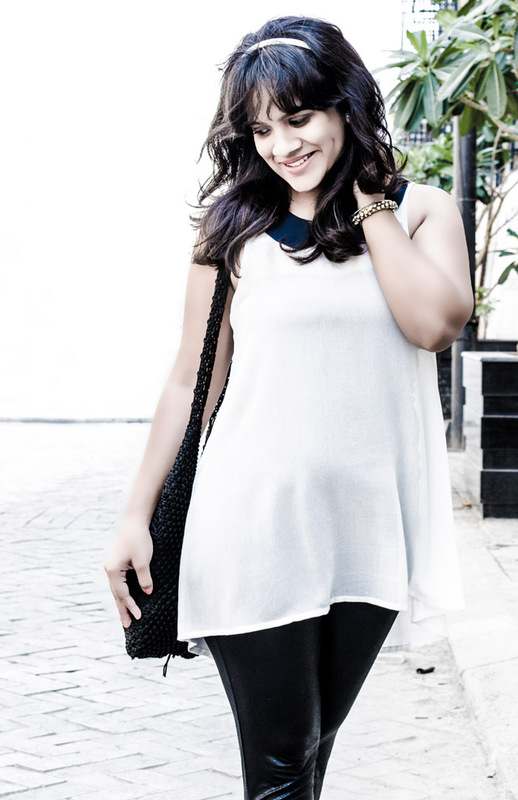 Till date, I've always associated red lips with a chic yet formal night out or a glam dinner. 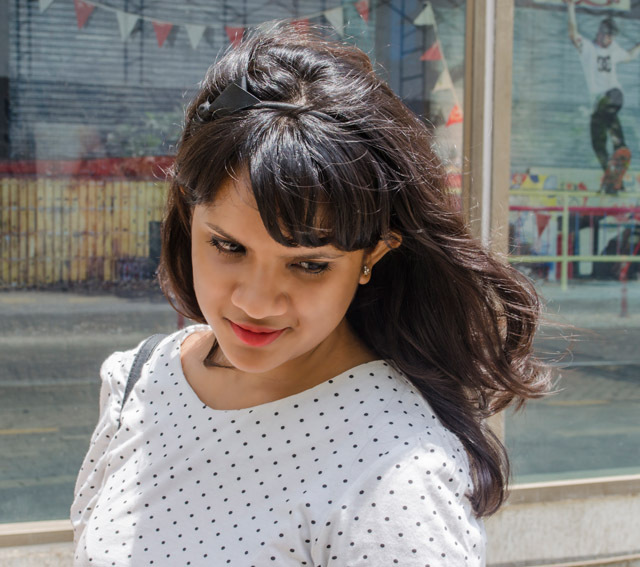 I'm all about casual, laid back looks especially in this season so when I thought of trying out a casual daytime red lip, I knew this orange-red lipstick would definitely make a mark. 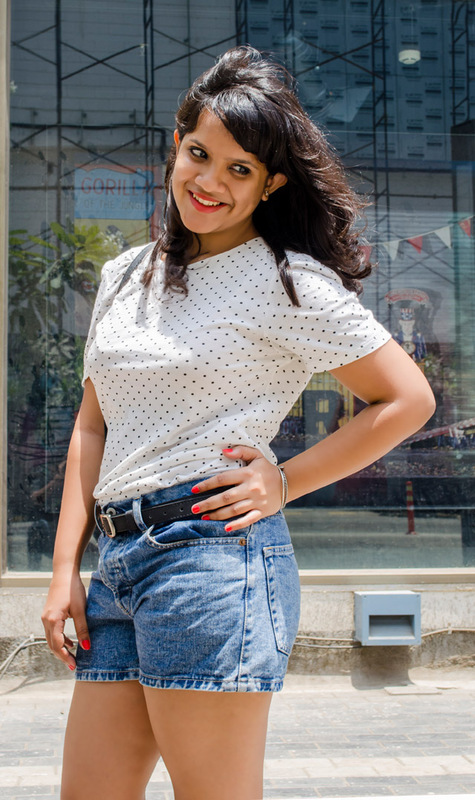 Along with the striking lips; I toned things down with my favorite denim shorts and a simple polka dot t-shirt. 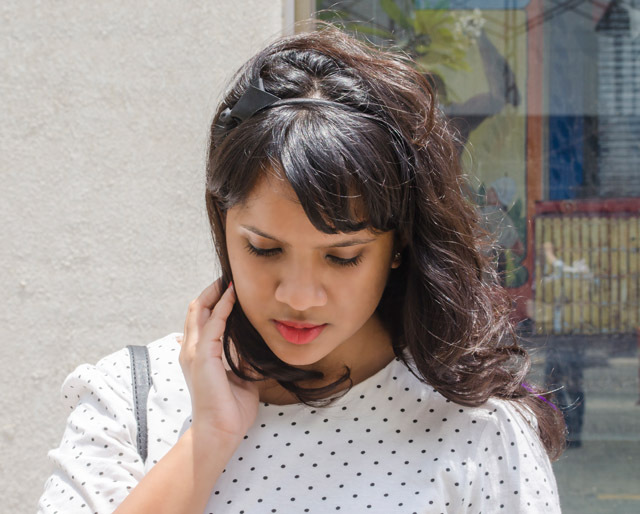 A touch of girliness is added with the bow hairband and coincidentally matching sling bag. Gotta love a simple yet stylish look. So far my vacations have been folding out beautifully with late breakfasts, TV show marathons, long lunches, events, fairly minimal clothes, you know - the works. How have you been spending the summer? 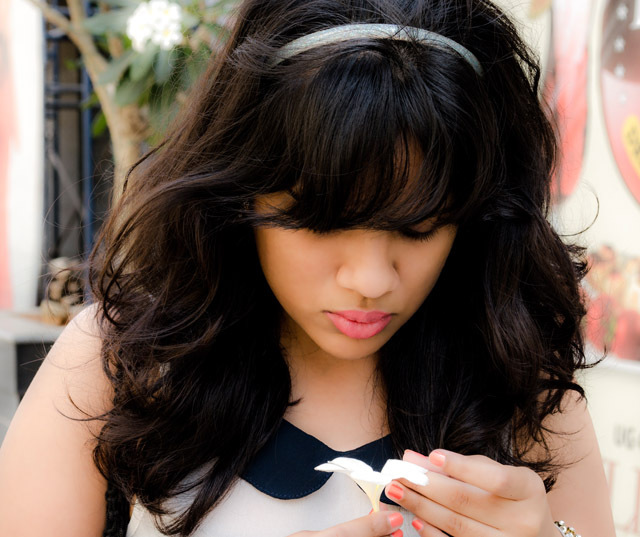 I enjoy spending my summer vacation afternoons with a tall glass of lemonade and an easy DIY project to keep me busy. 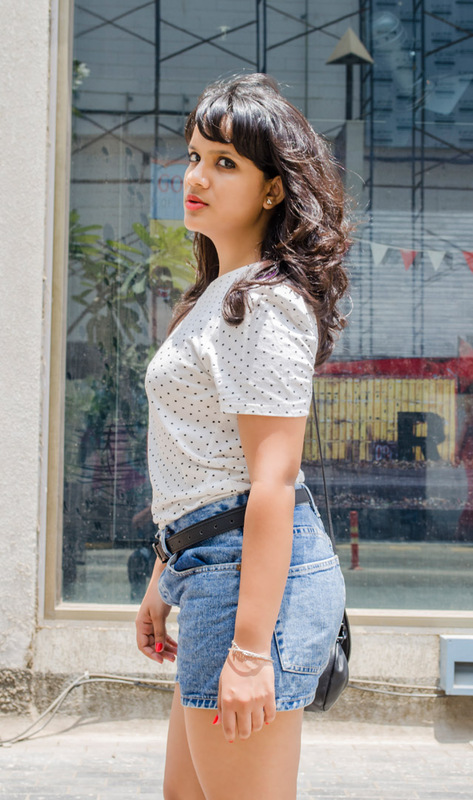 Whilst spring cleaning, when I found an old pair of black denim jeans at the back of my closet, I decided that sprucing it up could liven a lot of outfits for myself so I embarked on this project and shared it on the blog so that you too could redo those comfy old denims that you're too afraid to get rid off. And don't worry, it's an extremely easy project that will take you less than an hour. Step 2: Using another pair of shorts as your guideline, place both their waists together and draw a line with tailoring chalk to what length you would like your DIY shorts to be. I've used my favorite pair as a guideline that fits me like a dream. Step 3: Keeping the forks of both the shorts together, chop the DIY shorts leaving a little more fabric than the tailoring chalk line. Step 4: Turn the DIY shorts inside out and place them in such a way that the inner pocket and side seam is near you. Now cut off a small triangle between the side seam and bottom hem. Do note that the larger the triangle, the more leg showing through the lace so I'd recommend you cut a tiny triangle at first and then experiment if you want more showing. Step 5: Turning your shorts on the right side out, place your lace around the cut-out triangle so that it peeks through. Adjust it so that a little extra lace falls below the hem and keep it in place with pins. Step 6: In the space between the cut-out triangle and the pin line, sew the lace into place with matching thread. Step 7: Once your stitching is done, trim off the excess waist around the unneeded areas of the shorts and the hemline. Step 8: At the hemline, fold your excess fabric inwards (which was below your tailoring chalk line), keep it in place with pins and sew it together. Here's what your final pair of shorts should look like. While a front view may not seem too different from any other pair, when you take a side view of them, they definitely add an edge to a regular look of yours. 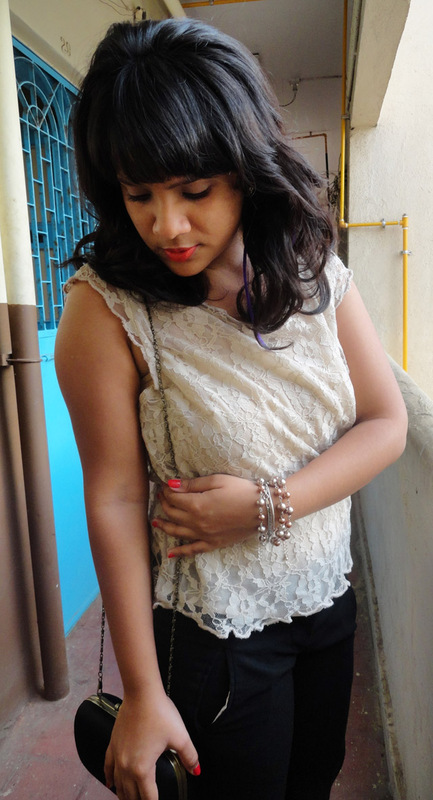 I'm planning on doing an outfit post with them so you shall see them on the blog soon! I hope you enjoyed the tutorial. 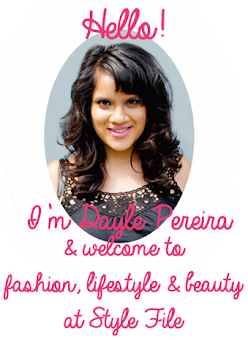 Let me know if you have any queries and if you do try it out, do share the pictures with me on Facebook, I'd love to see them! 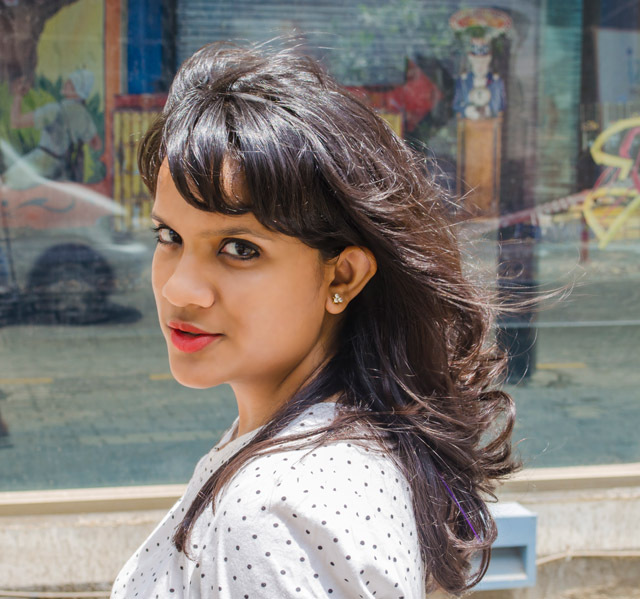 When we speak of style being feminine and ladylike, we instantaneously associate it with flirty dresses, structured skirts and bows or Blair Waldorf. 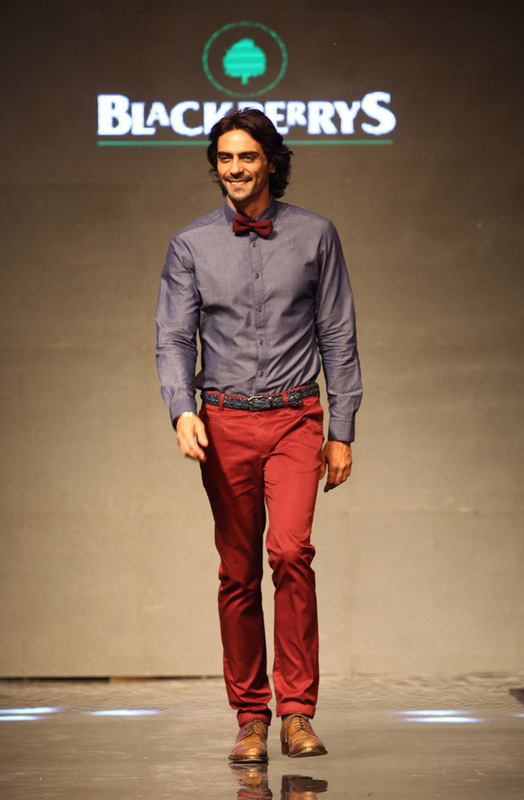 What usually gets overshadowed is a pair of well tailored trousers. This is often the case in most women's closets as well. 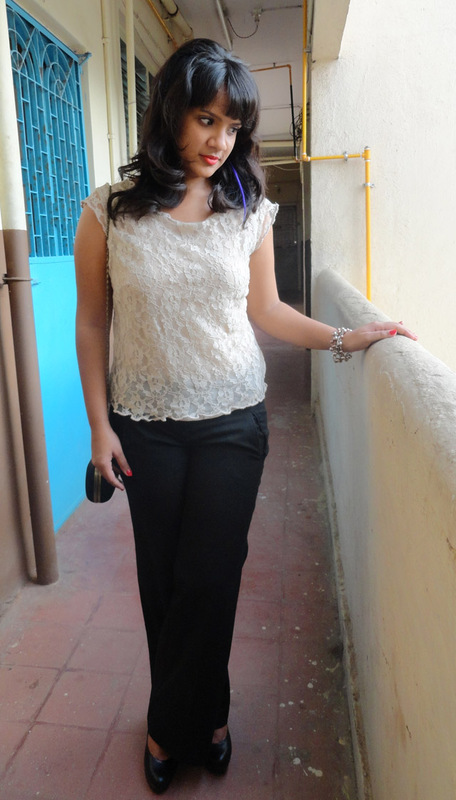 While we cover our LBDs and white shirts as essentials, more often than not, this piece of clothing is left out. 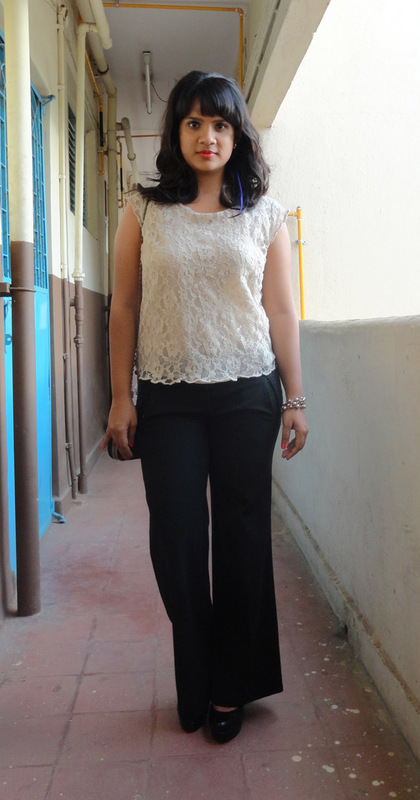 For many years, I was always under the impression that since I was short, wide-legged trousers were not my thing but thankfully, I've got rid of that notion. Take it from me, all these kind of trousers need *if you are petite like me* are additional height in the form of heels/wedges. 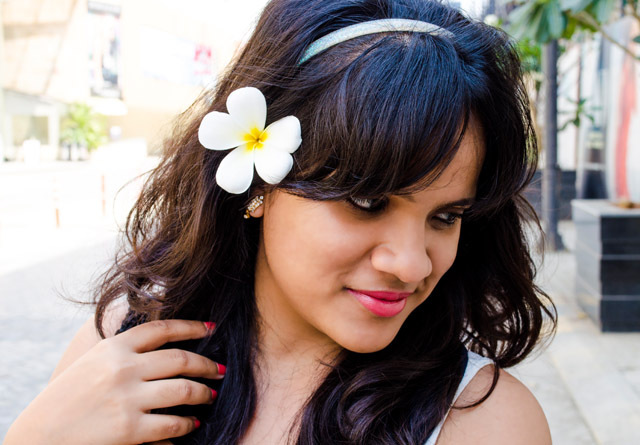 Throw in a lace blouse and this summer's hottest shades on my lips and you have a look that is nothing short of feminine! Along with the neutral tones of the outfit, I brightened things up with a daring pop of orange lipstick *which I was nervous to try but am glad that I took the plunge! 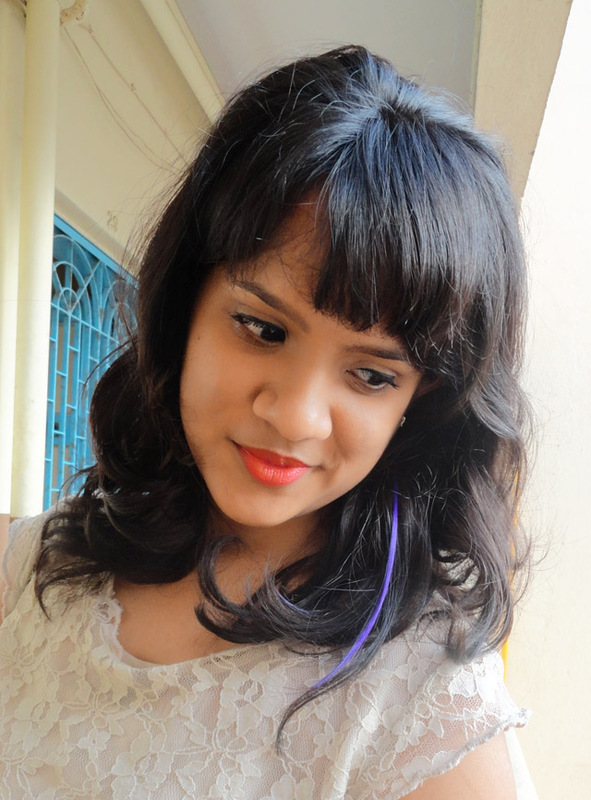 * and an all new purple hair extension courtesy the lovely folks at Jean Claude Biguine at the Elle + Mozaic event. So how are you planning on adding a dash of colour this summer? May has been an eventful month, quite literally. 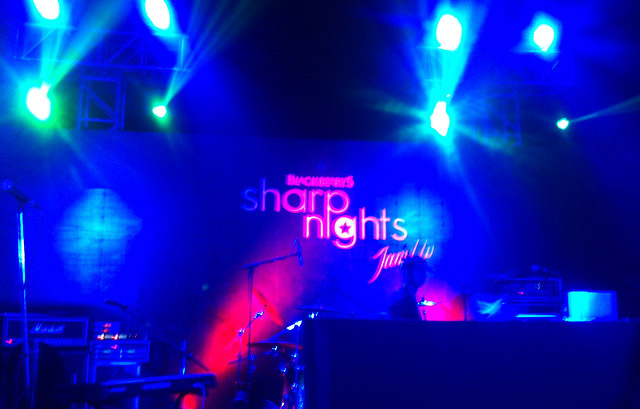 Last week, I received an invite for the Blackberrys Sharp Nights and what do you know, I had another event to attend that very evening as well. 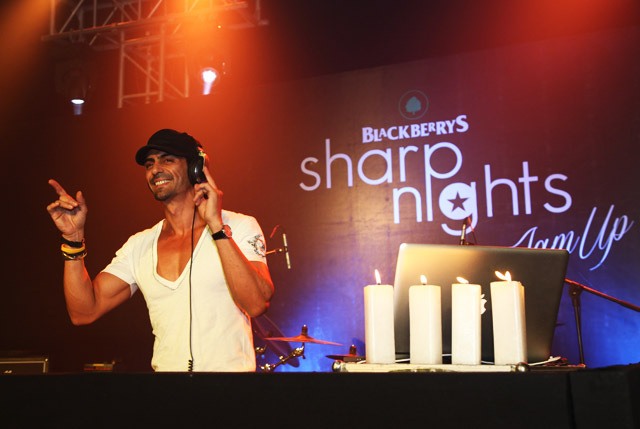 The concept behind the Blackberrys Sharp Nights is to bring together cutting edge fashion in menswear as well as to gather versatile talent in Bollywood. 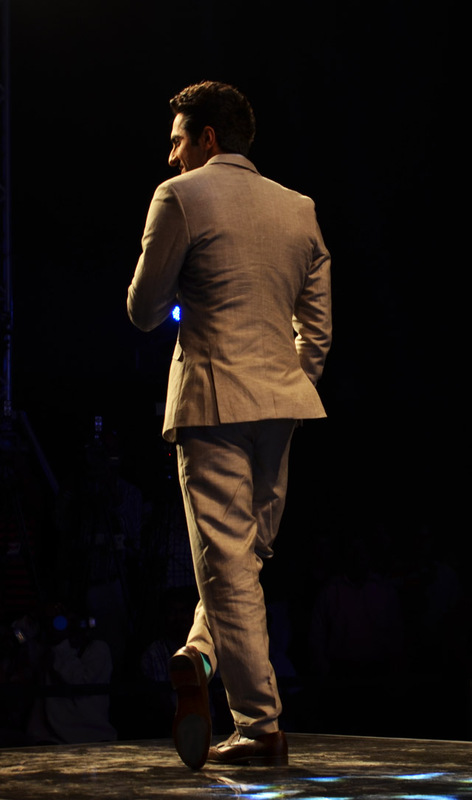 For this years line-up, Ayushmann Khurana, Arjun Rampal, Karsh Kale and Anushka Manchanda were set to walk the ramp and later perform at Mehboob Studios which led to the decision that this was one event I just had to attend! Along with the fab four of the evening, a number of celebrities and models such as Nauheed Cyrusi, Shazahn Padamsee, Sarah Jane Dias, Arunoday Singh, Candice Pinto, Pia Trivedi and Apurva Agnihotri were also present. 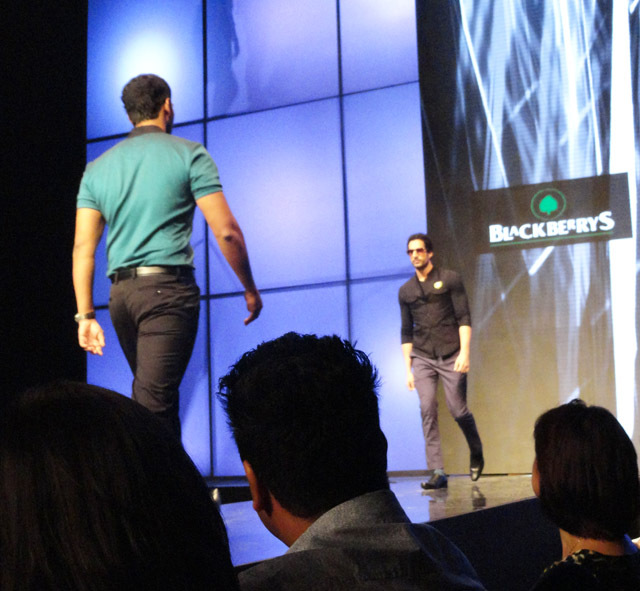 The evening started with the fashion show which was slightly delayed from the time it was originally meant to start. Being the first fashion show I've been to, it certainly was one to remember. 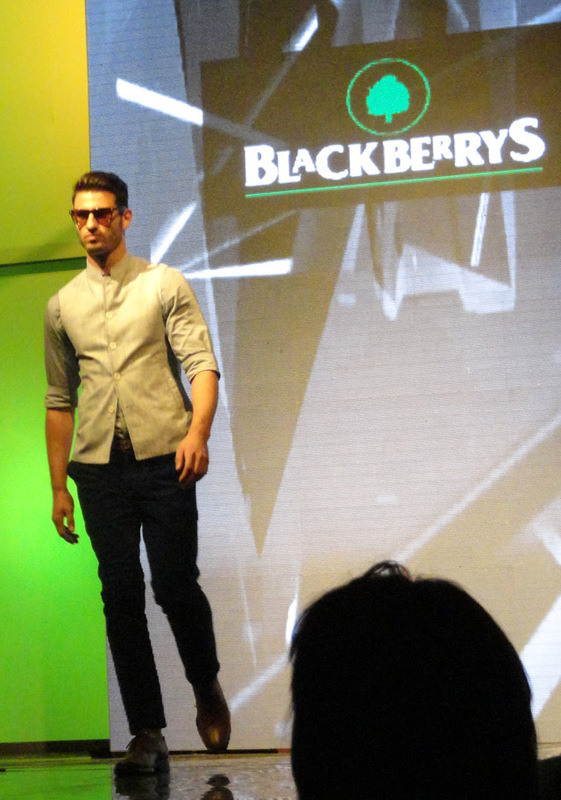 Blackberrys collection for S/S '13 is very distinctive and fresh with the usage of bright colours instead of boring neutrals which are generally used in menswear as well as elements like bow-ties, brogues, suspenders, linen and khadi fabrics and ankle length trousers which sets them apart. 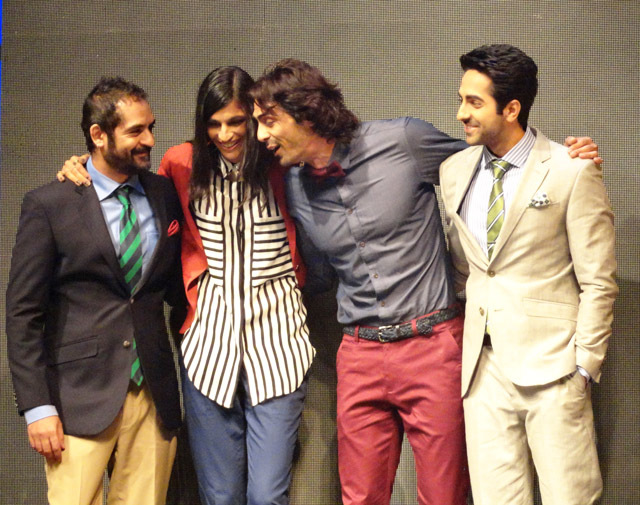 The show was wrapped up by the 4 showstoppers who drew cheers from the audience. Post the show, snacks, drinks and conversation was flowing. Soon the Jam-Up part of the evening began which consisted of performances by the lineup of artists. 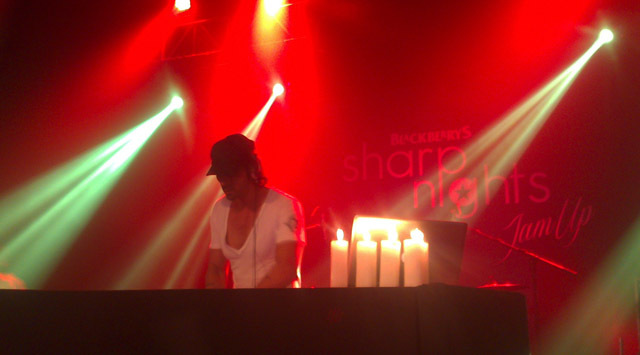 Arjun Rampal began with groovy electronic dance music that got everyone moving and shaking. 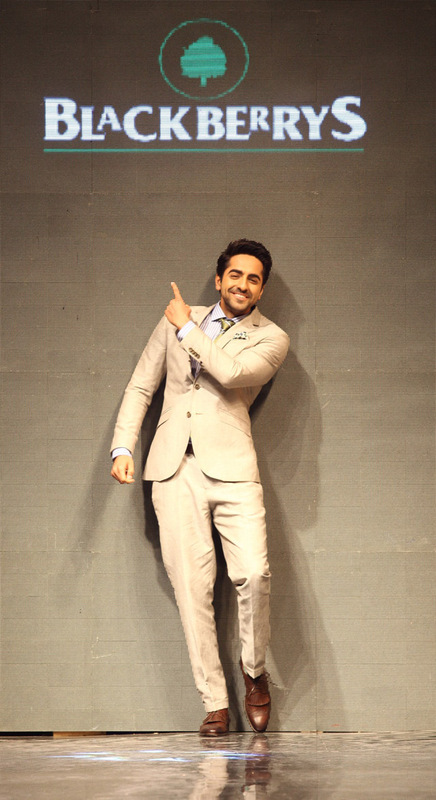 Following him was the wildly popular star of the evening Ayushmann Khurana who was hooted and cheered for, even before he got on stage! 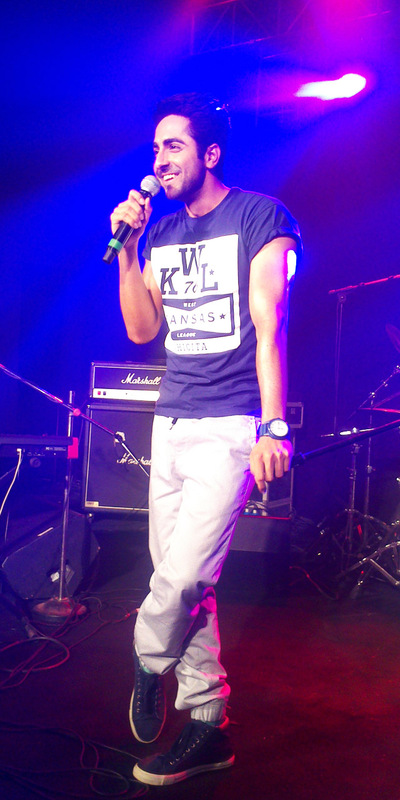 He performed a number of songs, the favorite being 'Paani Da Rang'. Finally, with the earlier delay pushing the next couple of performances even further back, we decided to call it a night after Ayushmann's performance. All in all, it was an amazing night which brought together music, fashion, entertainment and talent, one that was definitely worth attending.